FASHION HOUSE Group (FHGr), the leading Outlet developer and operator in CEE and Russia, has chosen a letting agent for their second Russia-based project, FASHION HOUSE St Petersburg. Russian consulting company MAGAZIN MAGAZINOV will exclusively represent FASHION HOUSE St Petersburg in the Russian market. “We’ve been working successfully with MAGAZIN MAGAZINOV on our first Russian project – FASHION HOUSE Outlet Centre Moscow and we are very glad that we continue our collaboration. The company has one of the best team of experts, with deep knowledge of Russian market”, – Brendon O’Reilly, Managing Director of FASHION HOUSE Group, said. FASHION HOUSE Outlet Centre St Petersburg will be located 20 km south of the city centre on the Tallinskoe Schosse, south of the KAD 6-lanering road, which guarantees a total catchment area of 5.2 million inhabitants within a 90 minute drive time. The vicinity of Pulkovo Airport and Gorelovo railway station will make access to the facility even easier. With a GLA of 20,260 sqm, the scheme will be home to 120 store units, a food court, a childrens’ play area and a parking lot for 1,050 vehicles. Its architectural theme is meant to exhibit the architecture of Amsterdam and the Low Countries, with which the city of St Petersburg has had trading and cultural links for centuries. As regards the interior design theme, it will boast the “Window to Europe” concept, which was specially designed for the FASHION HOUSE Group projects in Russia. “FASHION HOUSE Group develops a network of Outlet Centres under FASHION HOUSE brand, which is really popular and successful in Europe, – Narmina Gorina, Partner, Head of Outlet Centre Department, MAGAZIN MAGAZINOV, added. – Working on their Moscow project we have seen a great interest from retailers for the further collaboration with FASHION HOUSE Group in their St Petersburg project particularly”. FASHION HOUSE Outlet Centre St Petersburg will offer its customers a variety of top quality international and domestic brands available all year round for 30%-70% less than original prices. “FASHION HOUSE Group with its specialization on Outlet Centers and great development and management experience makes a unique retail offer for the Russian market in general and St Petersburg particularly as it would be the first professionally managed and fully-enclosed facility of this type in Russia’s North Capital, – Dmitry Burlov, Managing Director, MAGAZIN MAGAZINOV, commented. St Petersburg is one of several Russian cities in which FASHION HOUSE Group develops or is planning to develop its Outlet Centre concept. 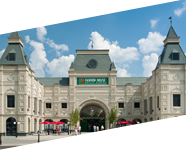 The fifth FASHION HOUSE Outlet Centre and the first in Russia – FASHION HOUSE Outlet Centre in Moscow, is due to open on Thursday,30th May 2013 and it has been also exclusively leased by MAGAZIN MAGAZINOV. 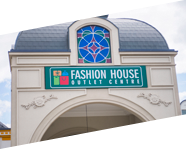 FASHION HOUSE Outlet Centres guarantee a unique outlet shopping experience thanks to the offer of over 250 international brands, that is being diversified constantly. Every year, four operating FASHION HOUSE Outlet Centres, located in Poland (Warsaw, Sosnowiec and Gdańsk) and Romania (Bucharest), are visited by more than 10 million customers. In Russia and Ukraine, in addition to the projects in Moscow and St Petersburg, the company is aiming to develop Outlet Centres in Yekaterinburg and Kiev. The pipeline also includes another project in Bucharest, Romania. FASHION HOUSE Group (FHGR) is a leading outlet developer/operator in the CEE and Russia and an expert in emerging markets. Established in 2000, FHGR has delivered and currently manages three successful FASHION HOUSE Outlet Centres in Poland and one in Romania, of a total GLA of 70,000 sqm. FASHION HOUSE Group is now expanding into Russia and Ukraine, with new outlet centre projects of a total lettable area of 84,400 sqm. FASHION HOUSE Group are an independent, pan-European, specialist outlet services consultancy currently in a position to set up, lease, manage, operate and market outlet centre schemes as well as providing support and development for retail brands in the outlet sector. 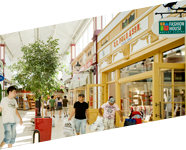 Thanks to an outlet-dedicated, premium quality, experienced team, FASHION HOUSE Outlet Centres have built up a notable following of world-famous branded retail tenants. 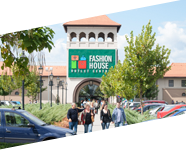 FASHION HOUSE Group receives institutional recognition and awards for both the development and management of outlet centres, such as the “Europa Property CEE Factory Outlet of the Year” in 2008, 2009 and 2010 as well as the “CEE Green Building Award” in 2012.